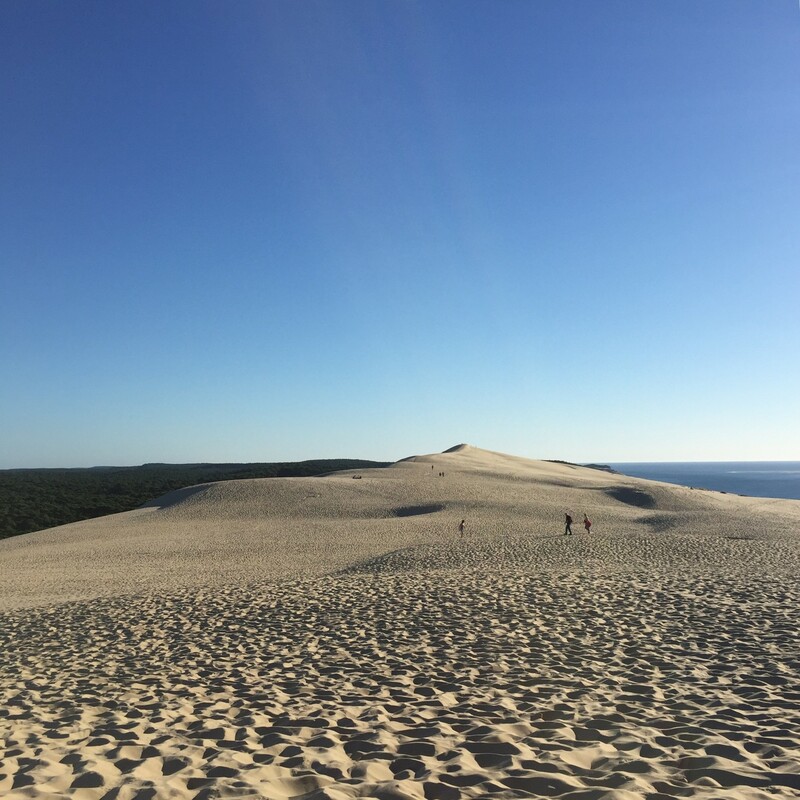 Located an hour from Bordeaux - my Erasmus city - there's Dune du Pilat. 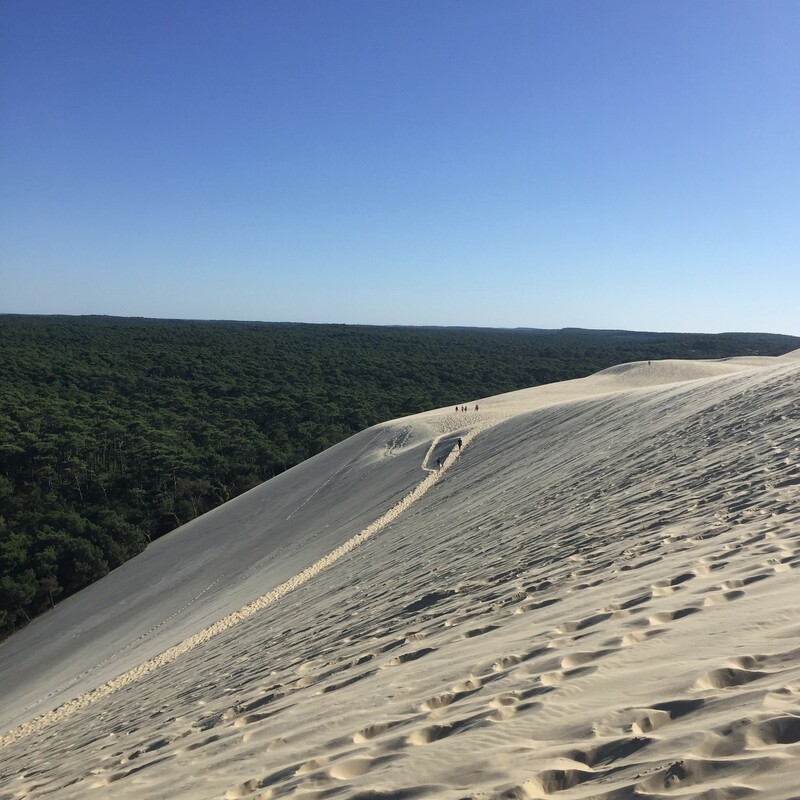 It's an amazingly high sand dune close the the base of Arcachon. 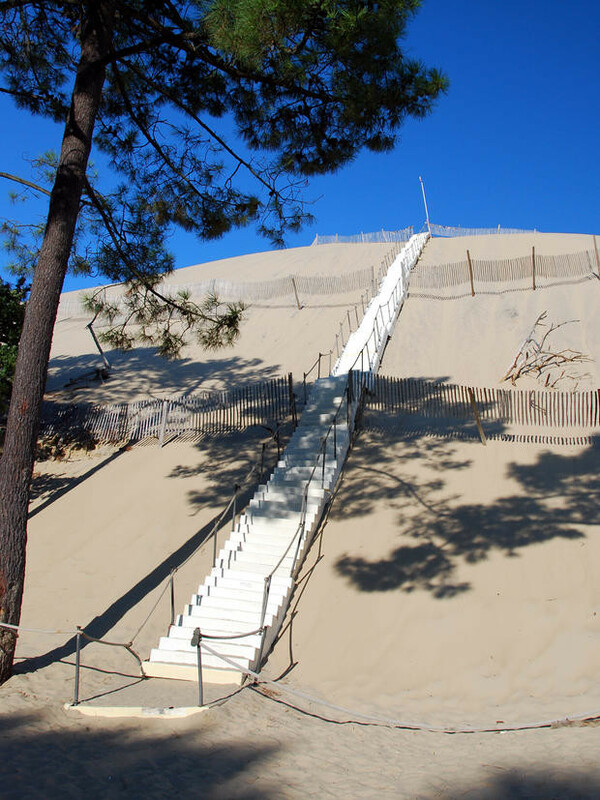 When you arrive the dune, you have to take a hundred of stairs (of you can climb in the sand) to reach the top. But the stairs are so worth the view! On your left side you have a view over kilometers of trees, on your right side a view over kilometers of sea, couldn't be more perfect. 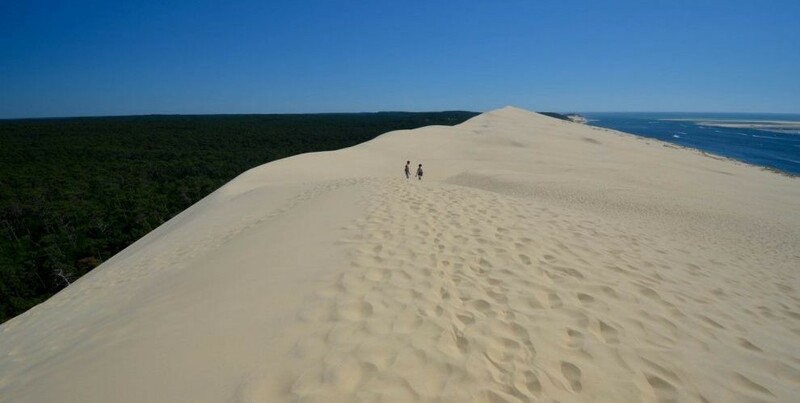 The dune is kilometers long so you can walk on the dune as far as you want. When you're one of the lucky ones who go there around 7 P.M. you will have an amazin sunset. This place is so romantic :-). 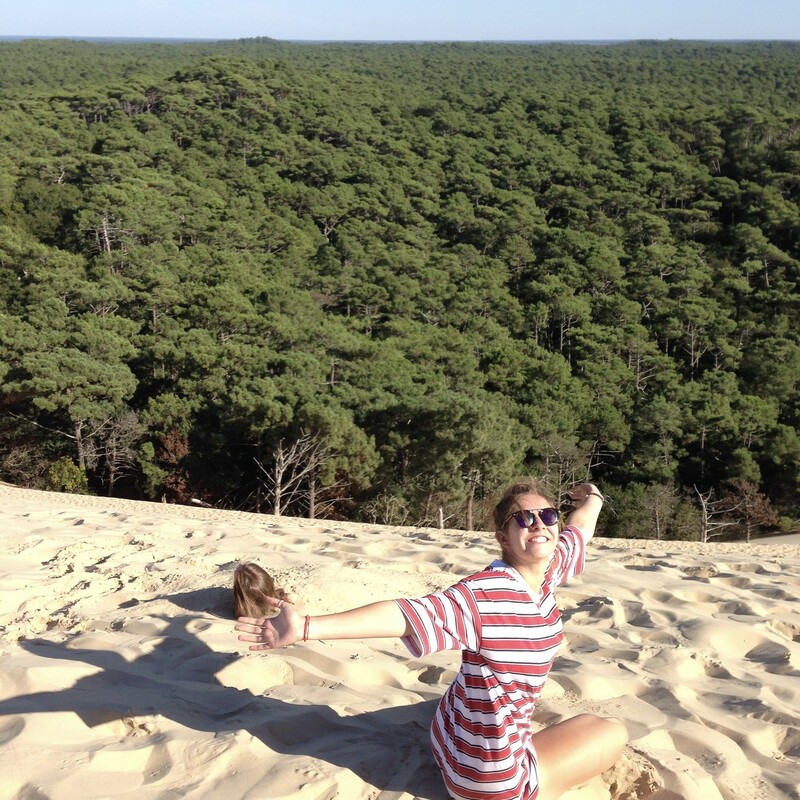 I was in France for 4 months and I went to Dune du Pilat 4 times and I still love this place every time again! 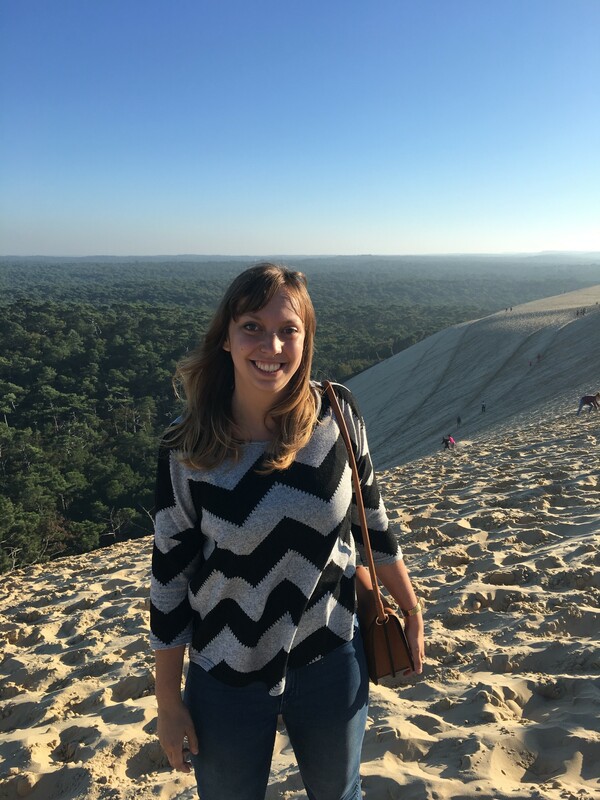 La Dune du Pilat: visiting Europe’s tallest sand dune! 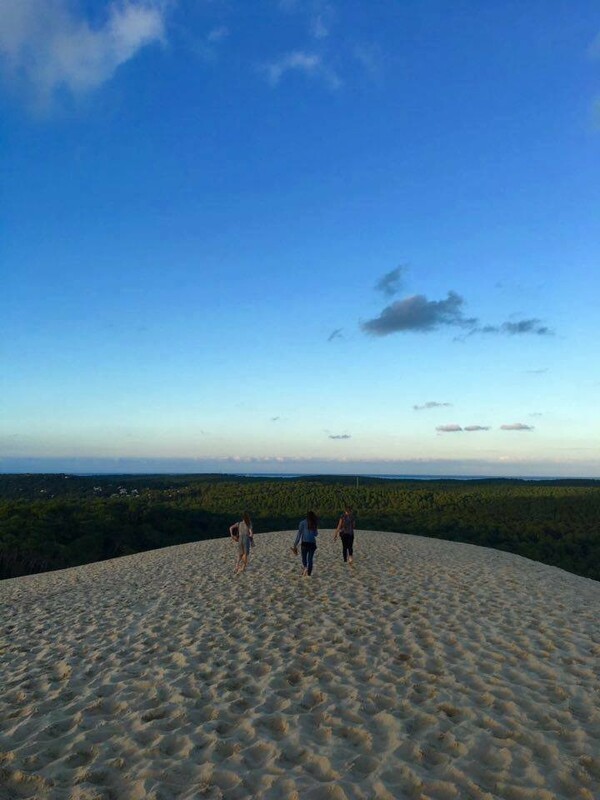 Last summer, while working in a hostel in Bordeaux, I decided to make a trip to the Dune du Pilat, Europe’s tallest sand dune. It was an unforgettable day, and I would encourage anyone in the area to visit, too, if possible. In this article, I’ll go through everything you need to know about travelling to this incredible tourist destination, as well as telling you what my friends and I got up to there. Bus tickets from Arcachon Railway Station to the dune were just 1€ each way when we went, and the journey took about half an hour. Make sure, if you go, to check the timetable so you don’t miss the last shuttle back! The dune is also accessible by bike and car. See the official website for directions and information on parking your vehicle. 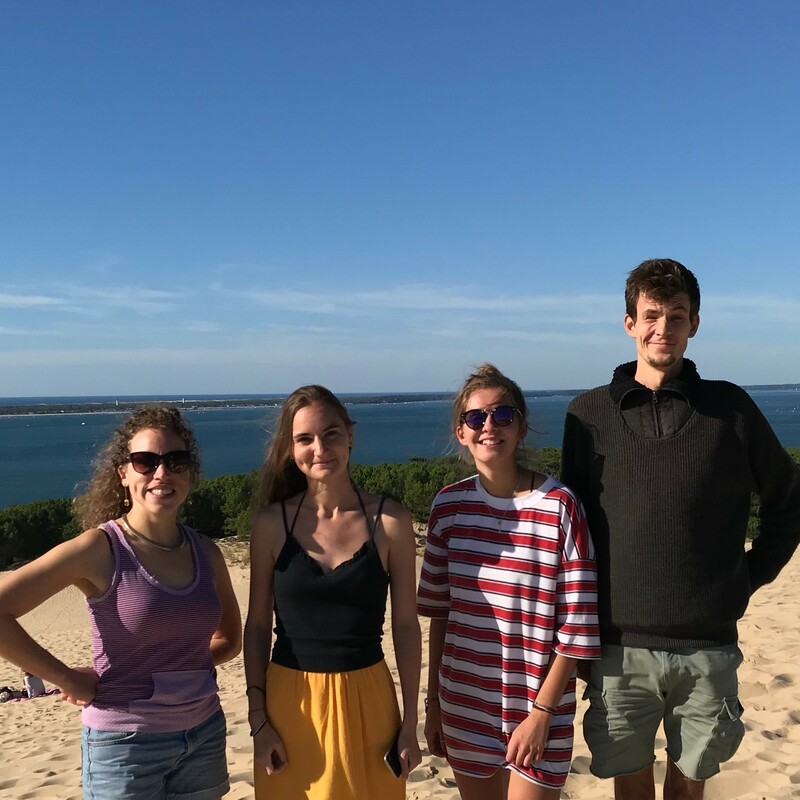 My fellow Workawayers and I went to the Dune du Pilat the day after quite a wild pub crawl, so didn’t get up as early as we should have, and only got to our destination at about 16:30. We stopped at a small café at the bottom of the dune for some light refreshments. I had a tomato and mozzarella panini, but there were all sorts of other hot snack options. After finishing our food (do this before you start climbing, unless you fancy eating literal sand-wiches!) and wandering round the souvenir shops for a bit, we set off up the dune! The walk to the top only took about three minutes, but it certainly felt like a pretty intense trek: every time we took a step upwards, we’d sink down again, so it felt as if all our work was being undone. However, we did, of course, eventually make it up, and my goodness were the views worth the struggle! To our left, we could see forest for miles, and to our right, the glistening sea. Tired from our climb, we decided to begin with a nap on the edge of the dune, which quickly turned into a burial session. Can you spot my head peeping out from the sand?! 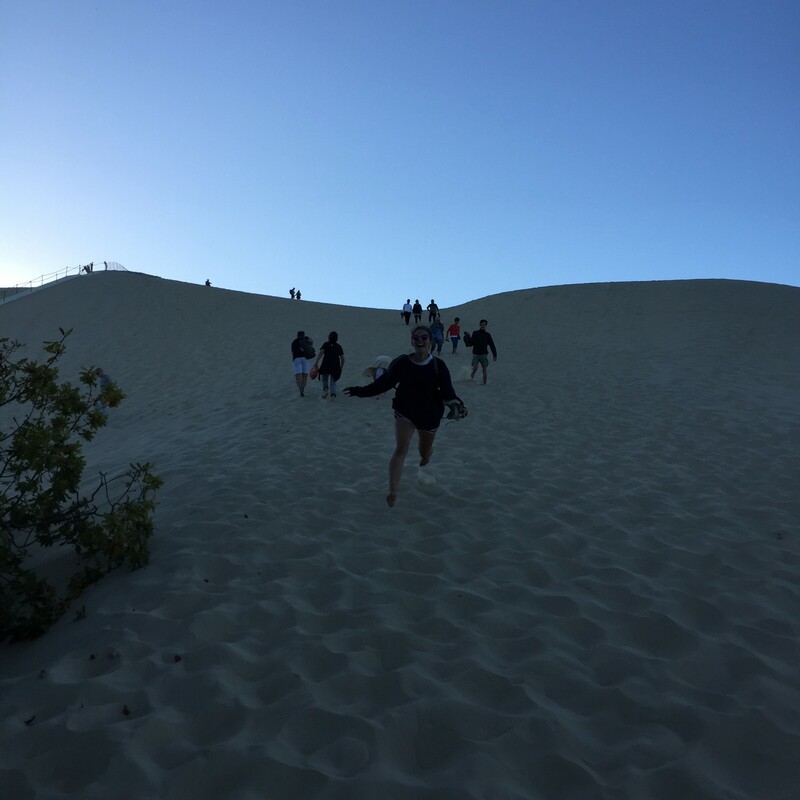 We then all took turns to pose for some classic ‘jumping off the edge of the dune’ photos. It was surprising how far down you'd land at some of the steeper points. After getting a few group shots, we chatted in the sun for a while, often commenting on our amazement at the surrounding scenery. 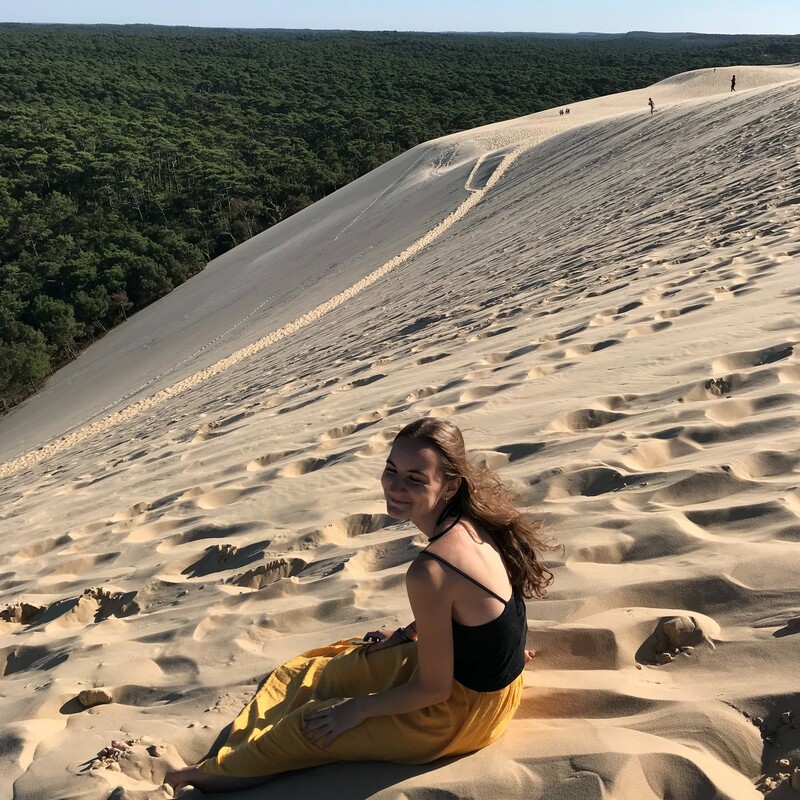 Unfortunately, we didn’t have enough time to swim – I had put on a bikini underneath my clothes in preparation – but it was so windy at the top of the dune that I’m not sure it would have been a particularly appealing idea even if we'd arrived hours earlier. Then came perhaps the best part of the trip: running down the great hill! The whole time it felt as if you were about to tumble head over heels, but it was such an exhilarating feeling, and thankfully much less tiring than the journey up. We walked back through the car park to the bus stop, where we stood for about twenty minutes (the shuttle was late – surprise, surprise), brushing the sand off our feet, and looking back through our photos from the day. I usually hate bus rides, but actually positively enjoyed this one because of the beautiful towns we passed through on the way back to the station. 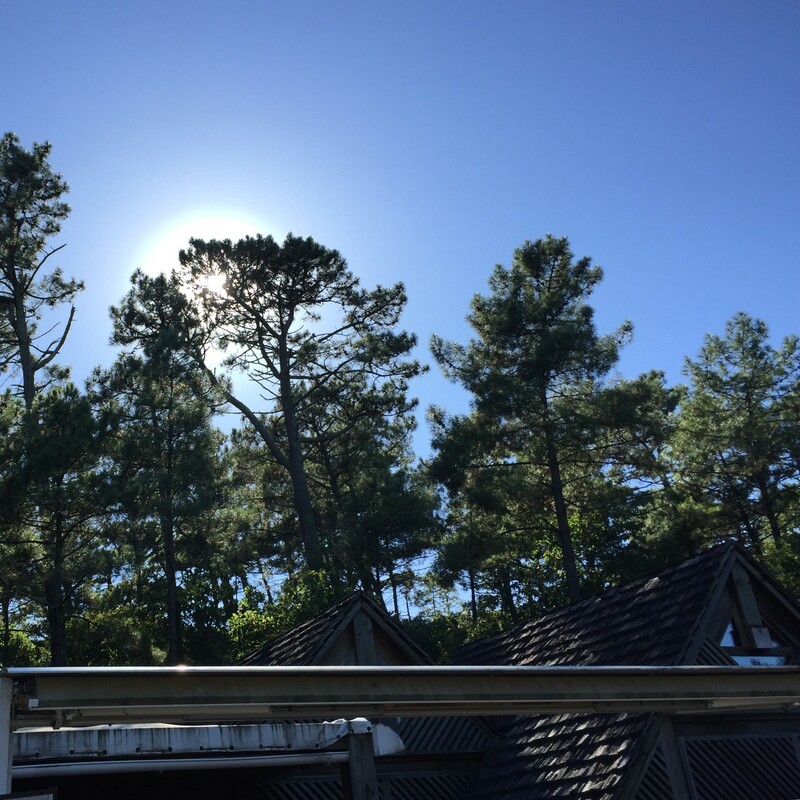 Both La Teste-de-Buch and Arcachon had lovely beachy vibes, and the shopping streets of the latter reminded me a lot of those in California. I would have loved to look around the town a bit, but alas, the sun was setting, and dinner was awaiting us at the hostel. Never mind – there's always next time! 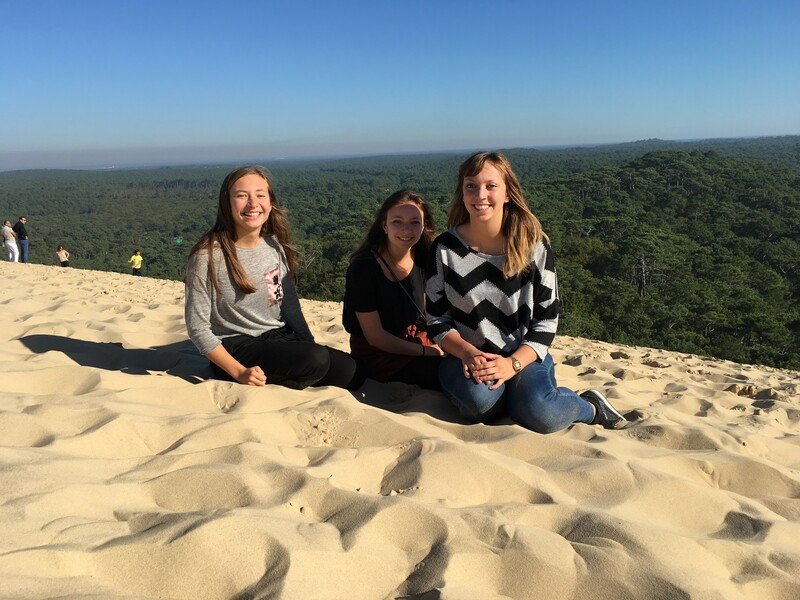 This content has been entered in the Erasmus Travellers Competition and have earned 530 points. 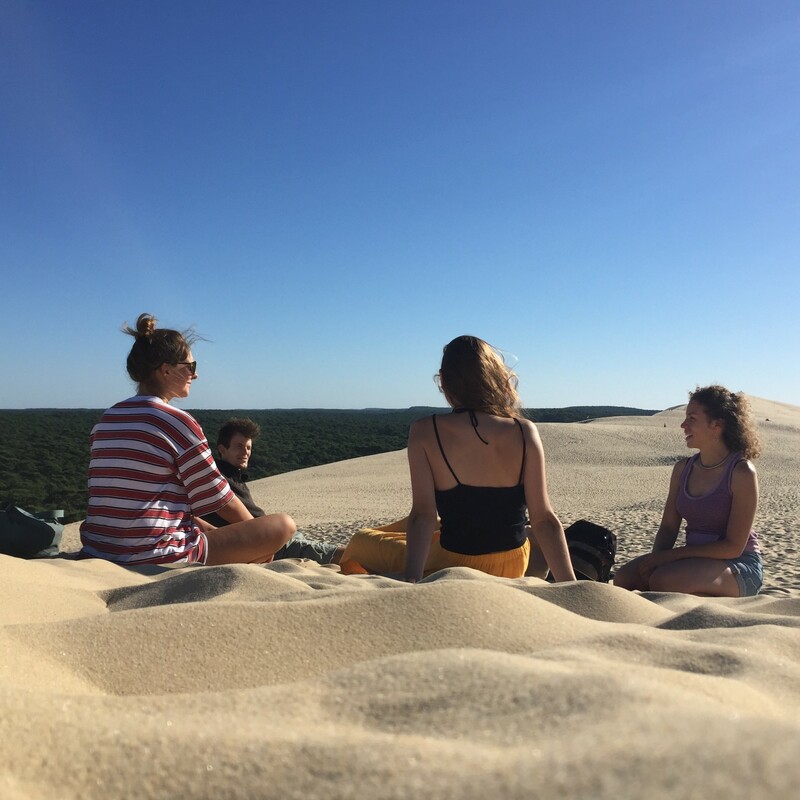 Do you know Dune du Pilat? Share your opinion about this place.